Do you fry your chicken? Or…is it too messy…not on your diet…or maybe you don’t eat meat? Well, none of those things apply to me. Not one. I love to eat and try new things and well, I just can’t diet when I write this little blog. Too much great food in this great city. As for making fried chicken at home…I tend to do it like my mom. 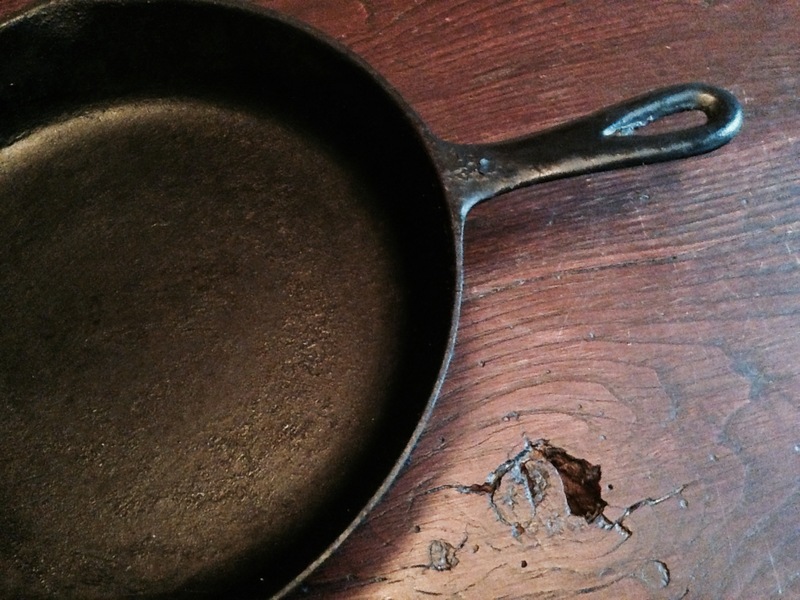 A few years ago, she gifted me her old cast iron skillet. I think I cried. Not only would I use it all the time, I’d think of her. And my grandmother. They ‘fixed’ fried chicken in very similar ways – simple, classic dredging in flour and fried in bacon grease. (Sometimes oil when she was low on bacon grease in the fridge.) She’d fry it on top of the stove, skin side down (crispy skin = deliciousness) in the skillet in batches and then finish in the oven. She was feeding a family of eight (five serious eater boys in that group) so she’d fry up two whole chickens. She also lugged TWO FULL carts of groceries twice a week – if there was ever a person who could’ve used COSTCO back in the day, it is Peg Langrehr. And her fried chicken? Like many people’s moms, it was delicious and I can remember how it tasted. I do make fried chicken at home from time to time…but I really love having someone else make it even more. 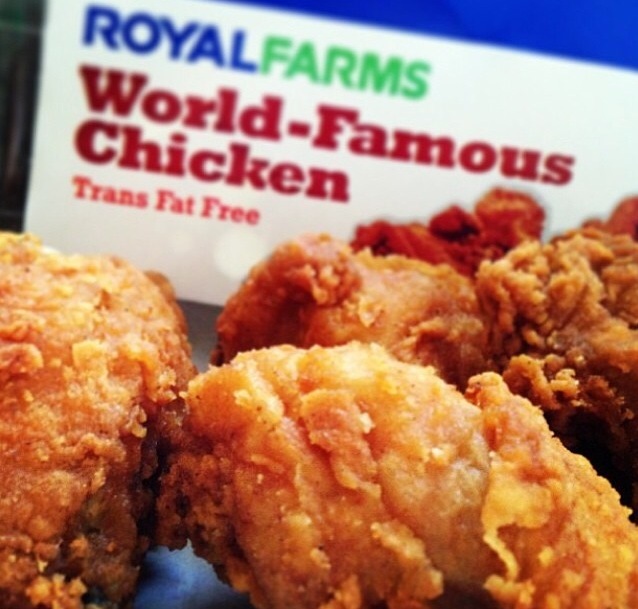 It can be as simple and fast as Royal Farms. Oh, geez, the glorious smell. You’ve smelled it. It makes my car just pull on in there – and it is always good. Love a thigh and a leg. The Western fries, not so much. So, a while back when I was at PABU, in between cocktails, happy spoons and those ridiculous chili-glazed ribs, I told Chef Jonah Kim, “We should have a fried chicken throwdown!” And his face lit up. (SMILE.) He loves to tinker with fried chicken. Tinkering is fun for most chefs, no? I’m not even a chef and I love to tinker…my salted caramel brownies came out of multiple tinkering sessions, you know. Enter the “Fry My Chicken Smackdown” – a culinary battle to find the best fried chicken in town. Competing chefs include Opie Crooks of Shoofly Diner, Chad Gauss of The Food Market, Chris Amendola of Fleet Street Kitchen, Jordan Miller of the Lord Baltimore Hotel (formerly of The Chesapeake) and of course, Jonah Kim of PABU. Who will reign supreme? The winner will still be Royal Farms! You’re right about the western fries. Maybe if they cut them a little slimmer and cooked them a wee bit longer, the fries would be almost as tasty as the chicken.